MIchael Jackson's Family Don't Ask 'Who's The Daddy?" Michael Jackson's family is pleading with the judge in their wrongful death lawsuit against AEG Live to EXCLUDE any evidence of the paternity of MJ's 3 kids. TMZ has obtained legal docs in which Katherine Jackson, Blanket, Paris and Prince argue ... it's irrelevant for a jury to hear evidence about the conception of the 3 kids. Specifically, they believe AEG has no right to delve into their biological parentage. 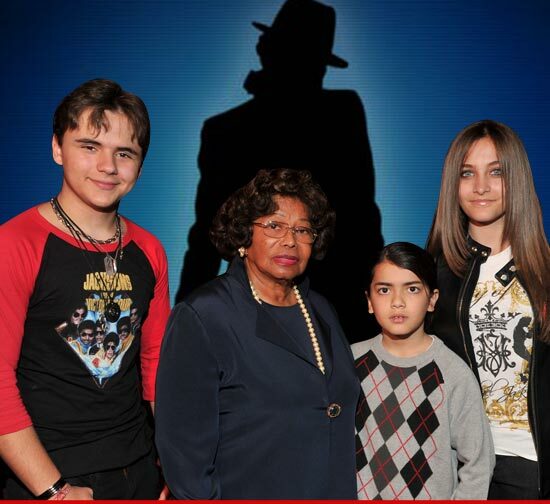 The Jackson crew also wants to exclude any evidence that MJ's siblings have financial problems. They worry AEG might try to argue that the real force behind the lawsuit is the need for cash. And mama Jackson and the kids want the judge to bar evidence or any mention of child molestation allegations, partly because MJ was never found guilty.